Microsoft has announced it has abandoned attempts to buy Yahoo! following a weekend of last-gasp negotiations between the two companies. “Despite our best efforts, including raising our bid by roughly $5 billion, Yahoo! has not moved toward accepting our offer. After careful consideration, we believe the economics demanded by Yahoo! do not make sense for us, and it is in the best interests of Microsoft stockholders, employees and other stakeholders to withdraw our proposal,” said Steve Ballmer, CEO of Microsoft, in a statement. In the letter Ballmer sent to Yahoo! CEO Jerry Yang, he expressed his disappointment in Yahoo!’s refusal to accept the enhanced offer—worth nearly $50bn—and outlined why he has decided to withdraw Microsoft’s offer. What’s more, following Yahoo! CEO Jerry Yang’s statements following the threat of a hostile takeover, Ballmer decided that going down that route wouldn’t be a good idea either. 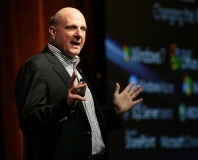 Ballmer says that Microsoft will move forward without Yahoo! and believes it can compete in the tubes on its own. The sad fact is though that Microsoft is a long way behind Yahoo!—never mind Google—when it comes to Internet revenue, so the task ahead could be described as ‘rather large’. Of course, Microsoft could acquire other Internet businesses, but none would enable it to overtake Yahoo! and take the fight to Google. Yahoo!, on the other hand, issued its own statement as it feels that it’s now off the hook. “With the distraction of Microsoft's unsolicited proposal now behind us, we will be able to focus all of our energies on executing the most important transition in our history so that we can maximize our potential to the benefit of our shareholders, employees, partners and users,” said Yang. Unfortunately, I don’t think it’s going to be quite as simple as that because shareholders will see billions of dollars wiped off the value of the troubled Internet portal now that Microsoft has pulled out of the deal. As a result of this, Yang will be under immense pressure to deliver results and shareholder value in double-quick time – some analysts wouldn’t be surprised if Yang is either replaced as CEO or forced into accepting a lower offer if Microsoft returned to the table. Do you think the Microsoft-Yahoo! deal is off forever, or do you see Microsoft returning at a later date if Yahoo!’s shareholders put increasing pressure on the board to maximise value and get close to the $33 per share Microsoft offered? Share your thoughts in the forums. Successor yet to be chosen. Plans for a Java-based Yahoo! 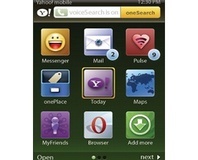 Mobile application to bring features already available for the iPhone to other devices have been shelved by the company. Yahoo! co-founder and CEO Jerry Yang has decided to step down from his position as soon as the Internet giant finds a replacement.